Do you get a little scared when you are writing AAC goals in the IEP? As in, you’re just not quite sure how to word the goal, let alone make it smart? Don’t worry, you’re not alone. It’s easy to get a little overwhelmed and stuck here. I’ve been there. I remember the first time a teacher said ” Oh by the way, Johnny has this talker device thingy in his backpack, what do we do with it?” I knew we had to push buttons to make it talk but honestly that was about it. When I thought of writing goals and how to include the device, I was really lost. So now, a few years later, I’ve figured a few things out and done a lot of investigating when it comes to AAC in the IEP. It’s really not a black and white area but here’s how I do it. Tip #1: Don’t be scared! It’s mostly just language. You’re an expert in language, (remember you’ve got a master’s degree). You’ve got this. Don’t freak out about the AAC part. Just focus on what you want your student to communicate. Then look at the how. Look across all areas of language not just labeling. If you get stuck, a helpful tool is Communication Matrix (I’ll include a link at the end of this post). You can use it not only for assessment but also for looking at the areas of language use for emerging and beginning communicators. These are: refuse, obtain, social and information with detailed information on the hierarchy of each. Currently when Johnny wants an item he points to it and/or physically takes an adult and to the item. We want his next step to be using core vocabulary words (verbally and/or through AAC use) to obtain a wanted item. Also you can refer to 1988 Janice Light et al who wrote of four competencies for AAC users: Linguistic, Operational, Social, and Strategic. Kate Ahern lists good examples of these in the linked article below. 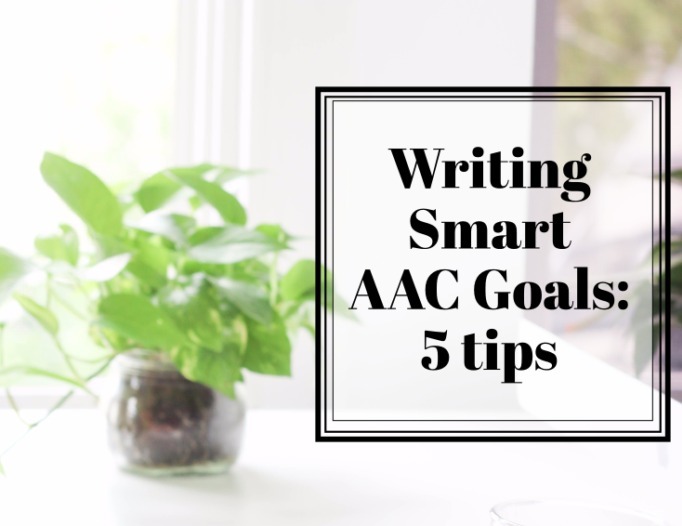 Tip #2 An AAC goal still needs to be SMART. (A S.M.A.R.T. goal is defined as one that is specific, measurable, achievable, results-focused, and timebound). You’ll be including time frame, conditions (modeling, cuing, prompting), measurement, assessment and baseline; just like you do in your other goals. Tip #3 Check to make sure you know your district and state’s procedures and requirements. They aren’t all the same. Talk with your lead SLP, Assistive Technology Consultant, School Psychologist or Special Education Director to make sure you’re including all the required information. Find out where your district wants you to document the type of AAC a student is receiving. It could be listed in the goal OR it might be in the Supplementary Aids and Services section of the IEP. Instead of: Boardmaker, Lessonpix, etc. Then, of course, you’ll include all the rest of your information on goals and progress. Don’t be scared-it’s just language. Remember an AAC goal still needs to be specific, measurable, achievable, results-focused and time-bound. Check for district & state procedures/requirements. 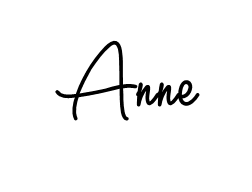 Document the type of AAC in general descriptive terms. Back up your goals in the present level by stating why your student needs AAC and how it impacts his progress in general education. I have to say this is just a quick summary to get you thinking. As always, use your clinical judgement, do your research and reach out to other SLPs. Kate Ahern’s Meaningful and evidence based goals: here. Gail Van Tatenhove’s AAC in the IEP: here. Lauren Ender’s Writing Goals for AAC Users: here. My BIG Core Vocabulary Board: here. If this is information overload, just bookmark these, so you’ll have them when you need them.